Oxford vs Bradford predictions for Saturday’s League One fixture at Kassam Stadium. After losing in the week, the visitors will be hoping to bounce back. Continue reading below for all our free tips and predictions. Oxford did stop the rot by drawing away against relegation rivals Rochdale on Tuesday evening, though single points are not what they need right now, such is their plight. After that result, the U’s remain in the drop-zone. They are level on points with Shrewsbury, who’re hovering just above the bottom four, though they need to regain the winning thread very soon or they’re in danger of getting too deep. In terms of their efforts on Tuesday evening, Oxford did OK at Spotland. They competed from start to finish, while they did a decent job of restricting their opponents. That said, they were once again poor going forward, which is why they failed to score for the second game running. Karl Robinson’s men have now failed to find the net in three of their last four, as well as in four of their last six. Fortunately, Saturday’s hosts have developed a habit of scoring at home, as they’ve notched in four of their last five at Kassam Stadium, scoring at least twice in three of those five. Last time out at this venue, they got the better of Scunthorpe, while they’ve also played well against some of the top sides at home of late, drawing with Barnsley and beating Portsmouth. Such form bodes well ahead of a match against Bradford. Speaking of doing well against the top sides, Bradford didn’t do too badly against Luton on Tuesday night. They did lose the game, but they only conceded once, while they generally restricted the best team in the league. Many teams have tried and failed to restrict the current league leaders, so Bradford’s effort can be viewed as a respectable one. What’s more, barring the mauling that they received at Fratton Park a fortnight ago, Bradford have done reasonably well on the road of late. They lost away against Walsall, but were the better team, while they held both Wycombe and Burton prior to that. 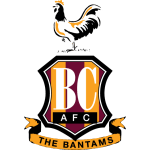 Interestingly, before they lost to Portsmouth, Bradford had bettered their opponents in terms of expected goals in each of their last three on the road. That said, they still give quite a bit away, which is why they’re currently surrendering an average of 2.36 expected goals on their travels. Of the two teams, Oxford look the more likely to keep things tight at the back, though they also look limited going forward, so much so that they represent little value at the current prices. Instead, the bet that stands out is ‘Both Teams to Score’. The pair have conceded a combined average of 3.34 goals in their respective home and away games this season. Moreover, with the hosts averaging 1.36 expected goals for at home and with Bradford averaging 1.35 expected goals for on the road, a small punt on both to find the net on Saturday afternoon is merited. Between them, Oxford and Bradford have conceded a combined average of 3.34 goals in their respective home and away games this season. Bradford are averaging 1.35 expected goals for on the road during the current campaign. Oxford have averaged 1.36 expected goals for at home in League One this season.